In this timely and entertaining documentary, noted economic policy expert Robert Reich takes on the enormous question of what has been happening to our economy. He distills the story through the lens of widening income inequality -- currently at historic highs -- and and explores what effects this increasing gap has not only on our economy but our democracy itself. 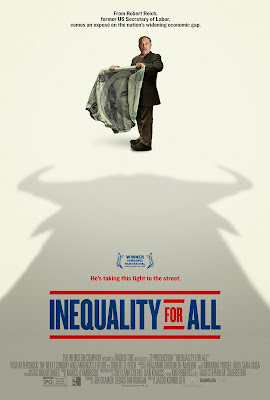 In the wake of the financial crisis and the recent rise of the Occupy movement, the issue of income inequality has gained unprecedented public awareness. Over the last thirty years, the U.S. economy itself doubled. But, these gains went to a very few: the top 1% of earners now take in more than 20% of all income -- three times what they did in 1970. Distortions are even more extreme at the very top. The 400 richest Americans now own more wealth than the bottom 150 million combined. While this level of inequality poses a serious risk to all Americans, regardless of income level, much of the rhetoric on this subject has been fueled by anger and resentment from a frustrated middle class who feel their birthright – the American Dream – has been taken away from them.